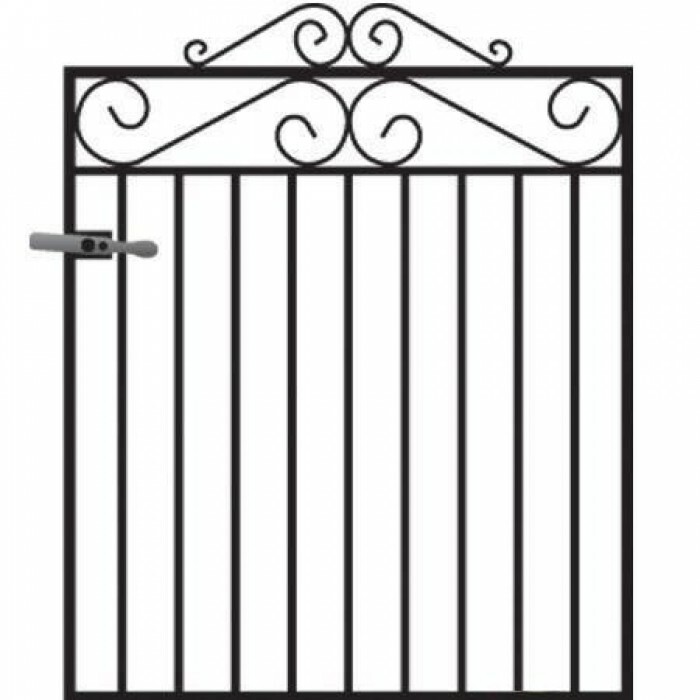 Attractive 4ft high metal garden gate. Suitable for front entrances and access points. Suitable for any residential locations including front entrances the Marlborough 4ft high metal garden gate features a combination of simple infill bars together with decorative metal work to create a wonderful look at a great price. Traditional wrought iron styling at an amazing low price. Available in a variety of widths to suit many popular gap sizes. Handmade in the UK using high grade solid steel components. Marlborough garden gates are constructed using 20mm x 8mm frames, 10mm infill bars and 10mm x 3mm scrolls. Supplied with adjustable hinges and a universal latch. Suitable for left or right hand handing. Metal gates are finished in a black primer ready to be painted before installation. 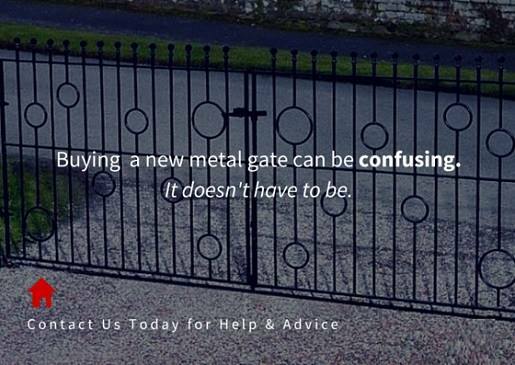 Do you need assistance choosing a new gate? 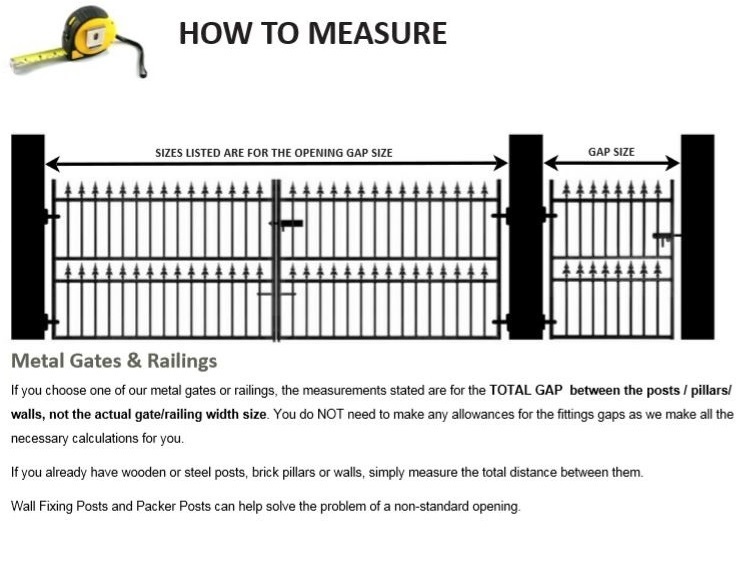 Read our measuring guide & frequently asked questions page or contact us by phone or email. 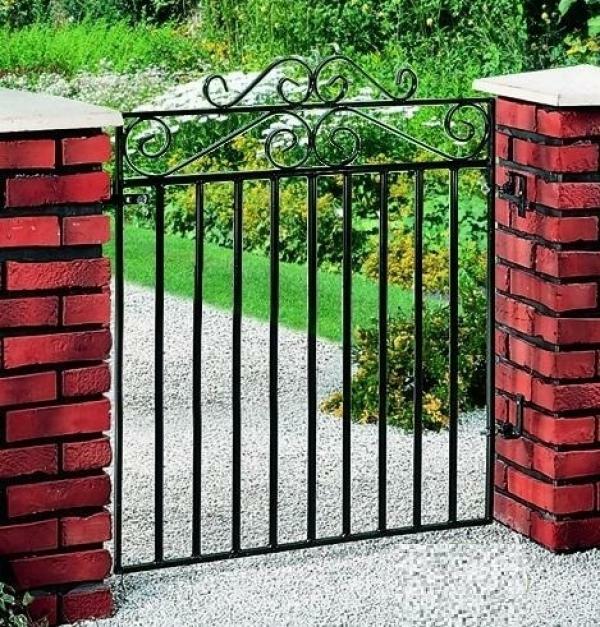 If you would like to order metal posts to install this timeless and traditional garden gate design or would prefer to have it supplied in a pre-finished powder coated paint please contact us prior to ordering and we will be on hand to discuss your options and provide additional costs.